OS X El Capitan v10.11.3 update : Fixes an issue that may prevent some Mac computers from waking from sleep when connected to certain 4K displays. Enterprise content : Third-party .pkg file receipts stored in /var/db/receipts are now retained when upgrading from OS X Yosemite. Impact: A local user may be able to execute arbitrary code with kernel privileges. CVE-2016-1716 : moony li of Trend Micro and Liang Chen and Sen Nie of KeenLab, Tencent. Available for: OS X El Capitan v10.11 to v10.11.2. CVE-2016-1717 : Frank Graziano of Yahoo! Pentest Team. Available for: OS X El Capitan v10.11.0 to v10.11.2. CVE-2016-1719 : Ian Beer of Google Project Zero. CVE-2016-1720 : Ian Beer of Google Project Zero. 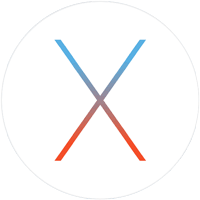 Available for: OS X Mavericks v10.9.5, OS X Yosemite v10.10.5, and OS X El Capitan v10.11 to v10.11.2. Impact: A quarantined application may be able to override OSA script libraries installed by the user. CVE-2016-1729 : an anonymous researcher. Impact: A local user may be able to execute arbitrary code with root privileges. CVE-2016-1722 : Joshua J. Drake and Nikias Bassen of Zimperium zLabs.